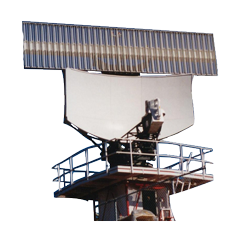 Easat is a leading supplier of advanced Mode S Monopulse Secondary Surveillance Radar (MSSR) systems for global Air Traffic Management applications. Easat's secondary surveillance radar systems provide outstanding operational availability with minimal maintenance requirements. Easat MSSR systems are installed worldwide. Easat's latest generation of Mode-S MSSR has been designed to ensure that it is fully compliant with ICAO requirements and Eurocontrol standards. Easat MSSRs are intended for cooperative air traffic control surveillance in accordance with elementary and enhanced Mode-S specifications. Easat's MSSR can be used either as a stand-alone system or integrated with PSR, ADS-B and MLAT systems. In situations where MSSR is to be integrated with other surveillance systems, common content management and advanced tracking will ensure that combined targets, as well as process status and performance parameters, are displayed simultaneously. 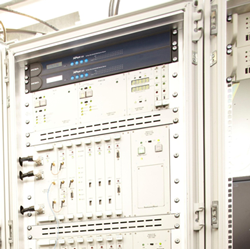 The Easat MSSR system is highly flexible with open architecture which is easily adapted to meet customer requirements. All website content including images and other media is Copyright 2019 © Easat Radar Systems Limited. All rights reserved. Easat Radar Systems Limited is a company registered in England and Wales with number 2044226. VAT No. GB278923705. A subsidiary company of Goodwin PLC. Registered Office: Ivy House Foundry, Hanley, Stoke-on-Trent, ST1 3NR.